Keenan has a reputation for being reclusive, elliptical and controlling of his public image. He dislikes the manner in which rock stars are worshipped, and at one point carried business cards with the name “Jesus H. Christ” printed on them. Often having to deal with stalkers, Keenan has resorted to using a paintball rifle to run trespassing fans from his property. Brazilian Jiu-Jitsu is one of Keenan’s pursuits, and he studied under Rickson Gracie, who is widely considered one of the martial art’s greatest practitioners. But besides himself and his partner Eric Glomski, quite a bunch of stars are participating in this movie including the charming Milla Jovovich and the funny Patton Oswalt. 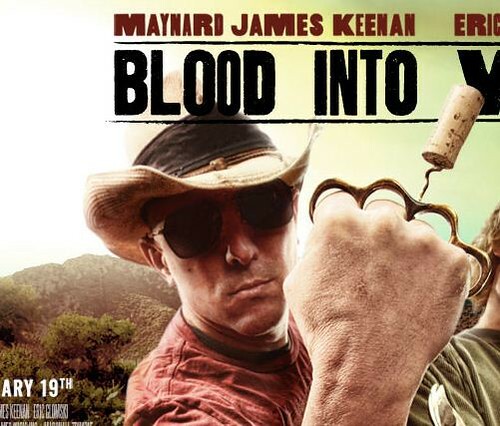 For us wine geeks, one of the big authorities – wine Pope James Suckling– has an appearance as himself in the movie.